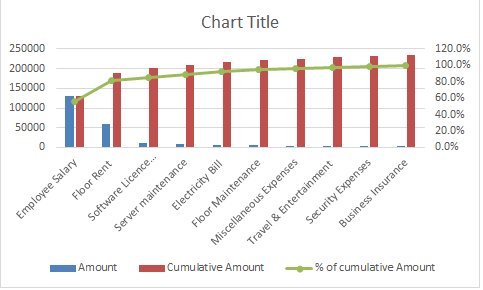 Pareto charts are a combination of a line graph and a bar graph. 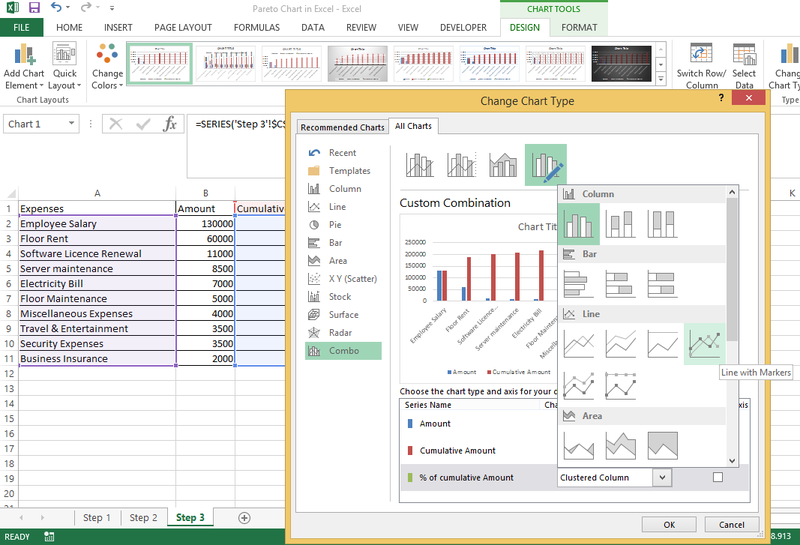 Bar Graph indicates the value and Line Graph indicates the cumulative percentage. 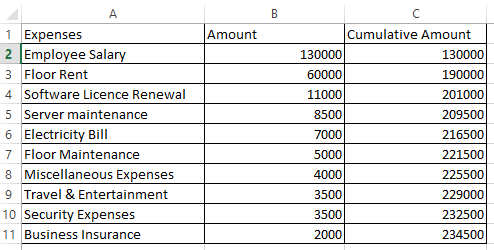 With the help of line graph one can identify the significant influencing factors. This Chart in named after Pareto Principle, which suggests that 80% of problems can be traced to as few as 20% of root causes. 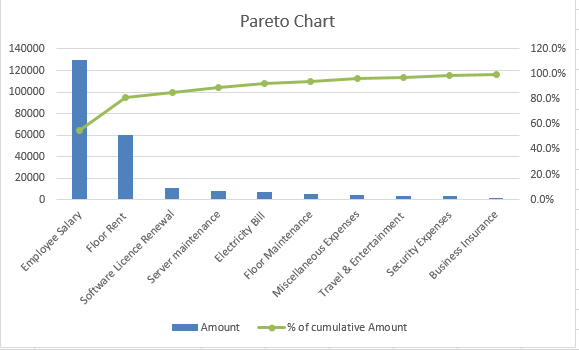 We will use the Pareto chart to measure the company’s monthly expense. 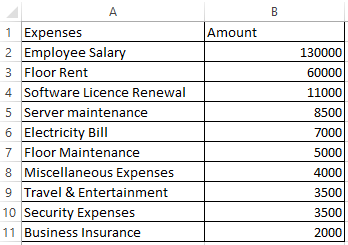 So that we can identify what are the 20 % factors contributes major (80%) of the expenses. 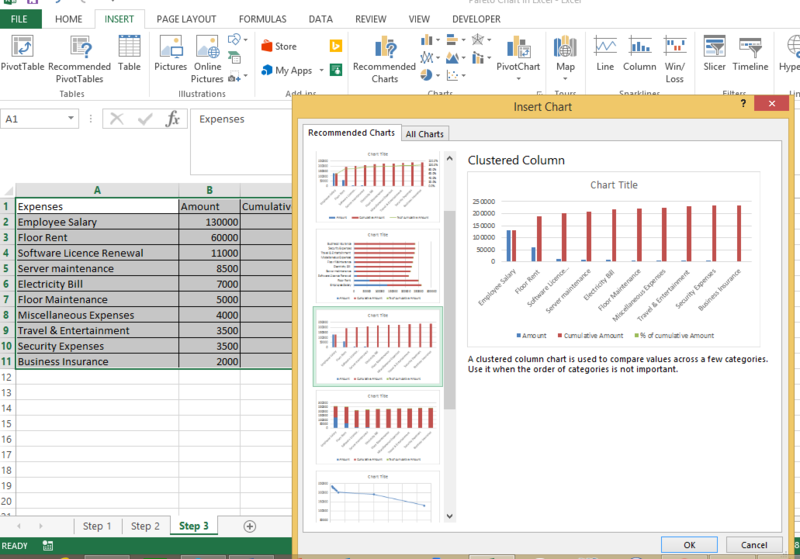 Step 2b: Each amount builds on the one before it as shown below i.e. C3=C2 B3. Then drag till the end. 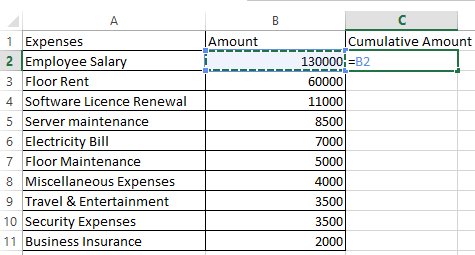 Right click on any of the bars and click Change Series Chart Type. 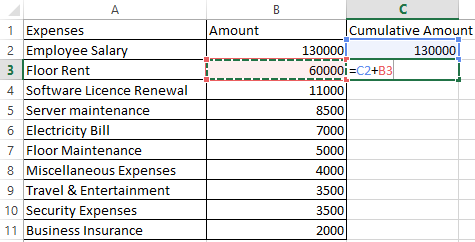 We have successfully created Pareto chart in Excel. 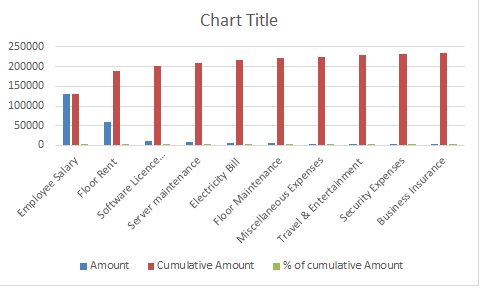 Conclusion: As per Pareto Principle, in our example Employee Salary and Floor Rent alone contributes to 80% of the total expenses as shown above in the green line chart.